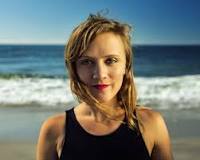 Ellen Reid has won the 2019 Pulitzer Prize for Music for her opera p r i s m, premiered by the Los Angeles Opera in its "Off Grand" series last year and revisted in New York at the Prototype Festival last January. In his review, Clive Paget described Reid as "gaining an enviable reputation for smart, accessible work, often featuring the voice, and p r i s m is a perfect case of a work that is complex yet approachable with plenty to say for itself." "Reid’s musical palette," he writes, "includes rich, swoopy strings, spiky woodwind, and funky brass that come into their own in the pop-infused disco ball fantasy of the second act. There is also a substantial role for semi-wordless offstage chorus—here the superbly disciplined Trinity Choir—and the whole affair has something of the attractive musical directness I associate with Jennifer Higdon." He concludes that Reid, a 2016 Musical America Professional of the Year, is "clearly one to watch." "A bold new operatic work that uses sophisticated vocal writing and striking instrumental timbres to confront difficult subject matter: the effects of sexual and emotional abuse. Libretto by Roxie Perkins." The 2019 music jury: Scott Cantrell (chair), classical music critic, Dallas, TX; John V. Brown, Jr., director, jazz program, Duke University; David Harrington, artistic director/violinist, Kronos Quartet; Raymond J. Lustig, composer and instructor of composition, The Juilliard School. Other finalists: Andrew Norman for Sustain; James Romig for Still.